Pairing wine with chocolate has become a staple for most wineries and is certainly a popular feature during the month of February with Valentine’s Day. Beer and chocolate not only being paired but also fused together in one drink maybe hasn’t reached the popularity of the good grape and cocoa bean, but the chemistry does offer a taste that many brew drinkers have taken a liking to over the years. A 2016 article in Men’s Journal noted that “brewers looking for an extra kick have integrated the treat (chocolate) into their ales and lagers.” Some beer websites and publications have made a push to promote how well beer and chocolate go together. Chris Schell, head brewer for Robin Hood Brewing Company in Bellefonte, says that any dark beer with some body and a little sweetness is a good candidate to have chocolate added to it. 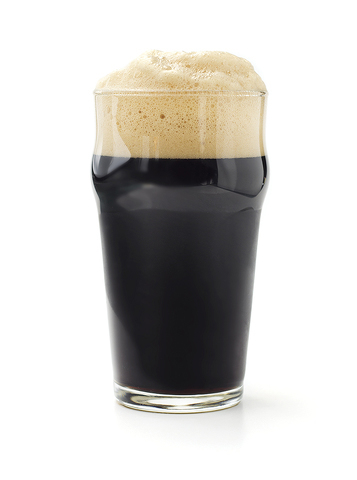 As a professional brewer, Schell first made a chocolate beer in 2011 at a brewery he worked for in upstate New York. He says the most important part of adding chocolate to beer is the type of chocolate being used. “Lipids, like glycerol and cocoa butter, ruin beer foam, so ‘whole’ chocolate-like candy bars is typically eschewed,” he says. “Chocolate syrup and cocoa powder are used more commonly, but chocolate syrup typically has lots of artificial ingredients, and cocoa powder can gum up piping or contribute a gritty texture if used improperly. John Trogner, cofounder and brewmaster of Troegs Brewery in Hershey, says Troegs also uses nibs in its brewing. Troegs has Chocolate Stout, Nitro Chocolate Stout, and Impending Descent, which is an imperial stout that features chocolate as a main ingredient, and it occasionally releases chocolate beers in its Anthology variety packs, including a Cherry Chocolate Stout. Trogner says Troegs first experimented with chocolate as an ingredient through its Scratch Series, but the first packaged beer to feature chocolate as a main ingredient was Impending Descent. Draft magazine published its “10 Chocolate Beers to Drink Now.” The list included Penn Brewery’s Chocolate Meltdown, Samuel Smith’s Organic Chocolate Stout, and Rogue’s Chocolate Stout and Chocolate Double Stout. Schell notes that beers don’t need to have chocolate included to be branded as “chocolate,” so if you’re seeking chocolate beers out, make sure chocolate is listed as an ingredient in the Statement of Composition on the front of the label. He adds that Robin Hood is preparing to release its Raspberry Truffle Cream Stout. Even if he doesn’t make the mint chocolate porter anytime soon, Schell believes the chocolate beer trend is here to stay. David Pencek is a freelance writer in State College. David Pencek is editor of Town&Gown magazine, Town&Gown's Penn State Football Annual, and Town&Gown's Penn State Winter Sports Annual.